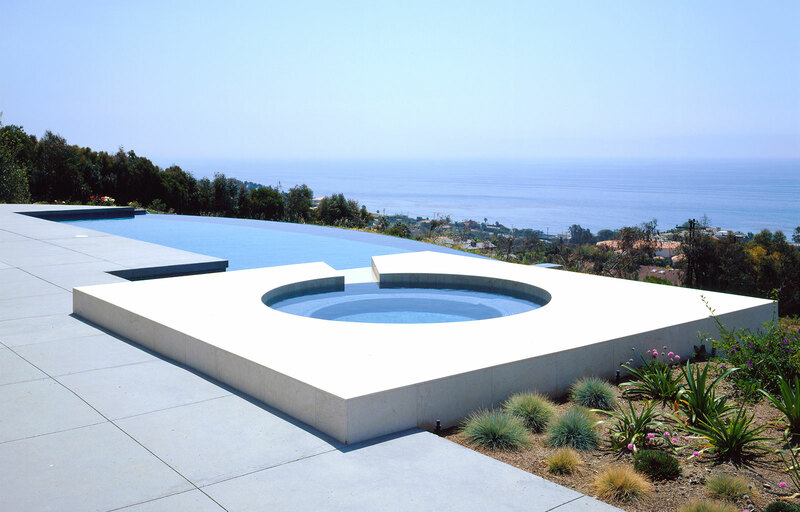 This house is designed for a family of five and is located on a site overlooking the Pacific Ocean in Malibu. The project involves a two-story, 8,000 square foot addition to an existing two-story, 4,000 square foot structure. 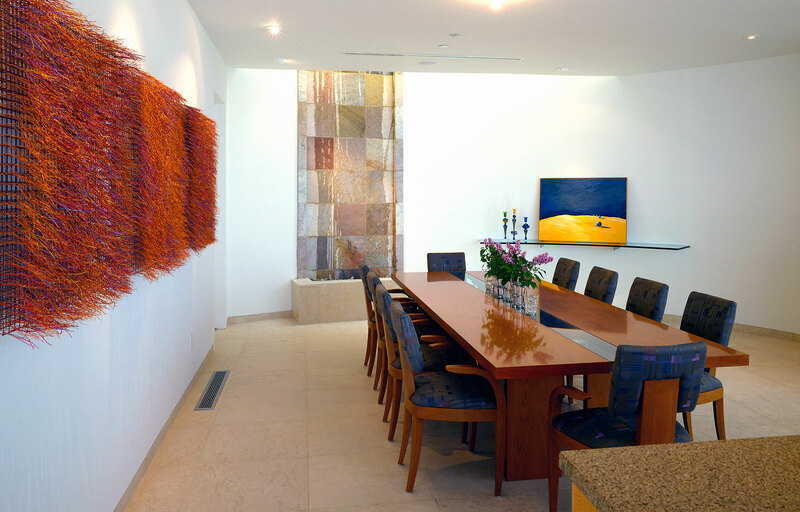 The addition is the primary residence for the family with the renovated existing structure serving as a guesthouse. 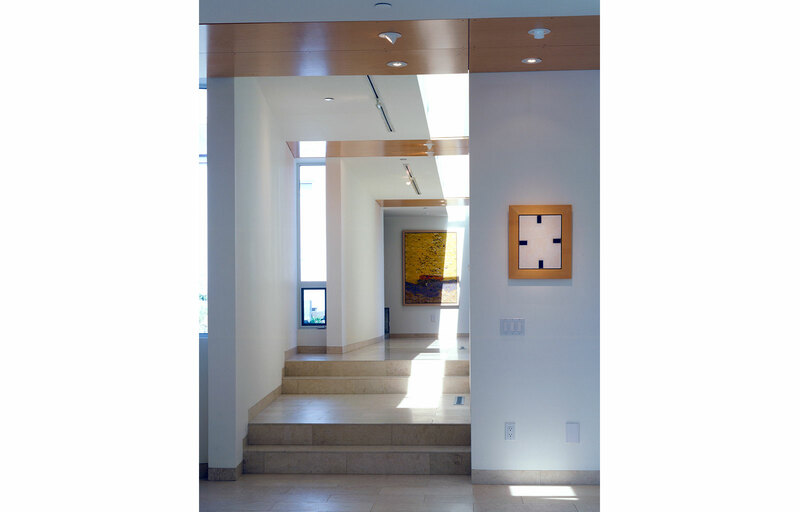 The plan configuration of the house is linear in an attempt to provide views to a wide range of rooms. 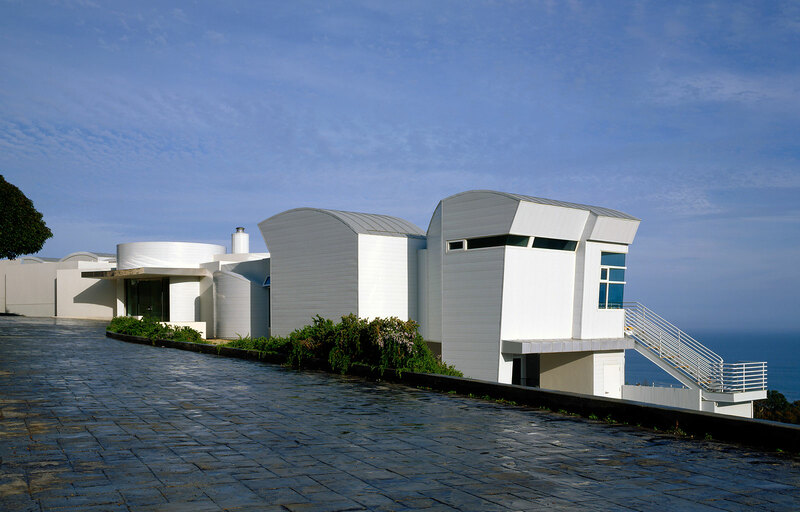 The facades and fenestration are a direct response to the axial views from within the house to the coastline beyond. 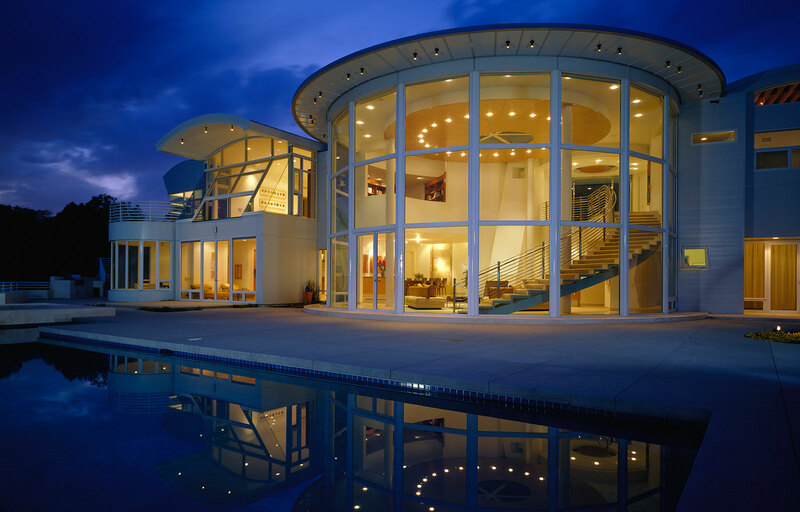 The central feature of the house is the double story rotunda space with a 22-foot glass wall overlooking the ocean. Arrival to the house is from a motor court at the upper floor of the new addition. 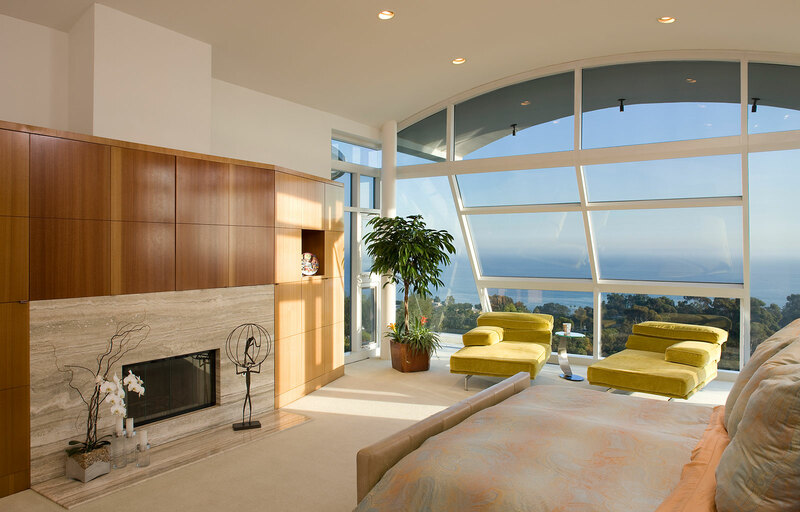 Bedrooms are above with higher views, while living spaces are below, extending out to the pool deck at the rear.